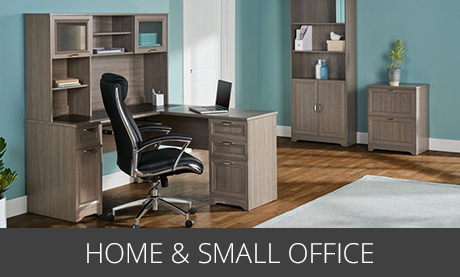 Arranging a home or small office can be just as tricky as planning out a commercial space. Either way, creating a workspace that actually works means pulling together all the right elements and using them where and how they make the most sense, practically and visually. Luckily, there are plenty of options for building a working environment that’s both purposeful and easy on the eyes. 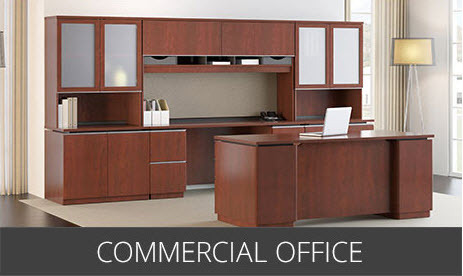 Zero in on style and function for your small space or dedicated office. Work with versatile pieces that will complement existing surroundings or select items that specifically fit your vision for your dedicated space. Create a professional backdrop for your place of business that provides a lasting impression. Fill surroundings with furnishings that help exhibit professionalism, stimulate productivity and boost employee morale.